Who doesn't love a good Jane Austen novel? Better yet, who doesn't love a fun twist on an old classic? 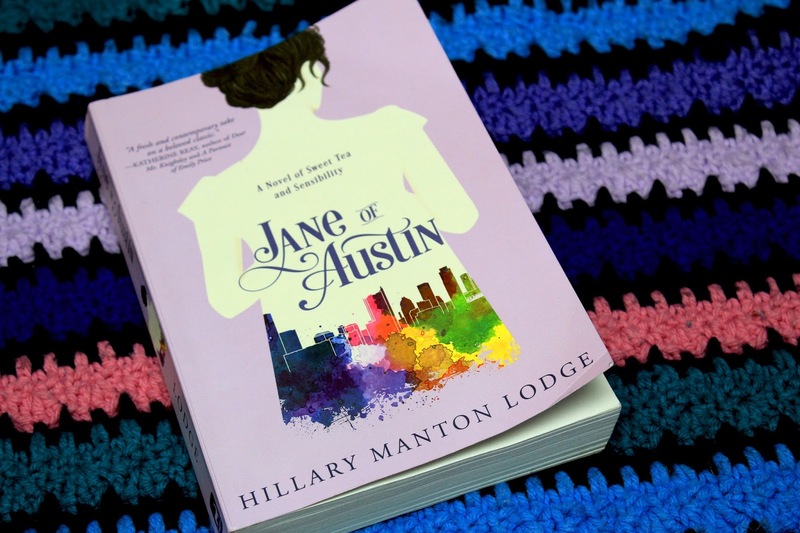 Those were my thoughts when I picked up "Jane of Austin" by Hillary Manton Lodge. Not only was I intrigued by the gorgeous book cover, but one of my favorite authors penned the book! The story follows three sisters: Jane, Celia and Margot as they make the move from San Francisco to Austin, Texas. Not only are they in for a rude awakening (read: culture shock) they are also in for a few twists and turns that seemingly uproots their otherwise low-key lifestyle. The girls have been on their own since their mother's death and their father bailed town after his business scandal. The older sisters, Jane and Celia, care for their teen sister, Margot, who is studying ballet while trying to finish high school. As they set out to put down roots and create a new life for themselves they are soon faced with betrayal, true love, and a life changing event that marks their sisterhood forever. While the story includes three sisters, it mainly focuses on the older two, Celia and Jane. Celia goes through a rough breakup, but eventually makes amends. I wish they had explored more of Celia's character and shared details on the "why's" of the breakup. But, perhaps it's just room for another novel? One can only hope. Also, while Jane is considered level-headed, I find her reasons for dating someone she barely met a bit odd. Not too far-fetched, but enough that I knew early on that the relationship would fall through the cracks. And it did. Otherwise, the novel was a fun and quick read. Perfect for a lazy summer afternoon! Thank you for sharing. I am adding this to my long list. If you checked my post today you will laugh. It is my super pile of books I am trying to devour. Have a super weekend.